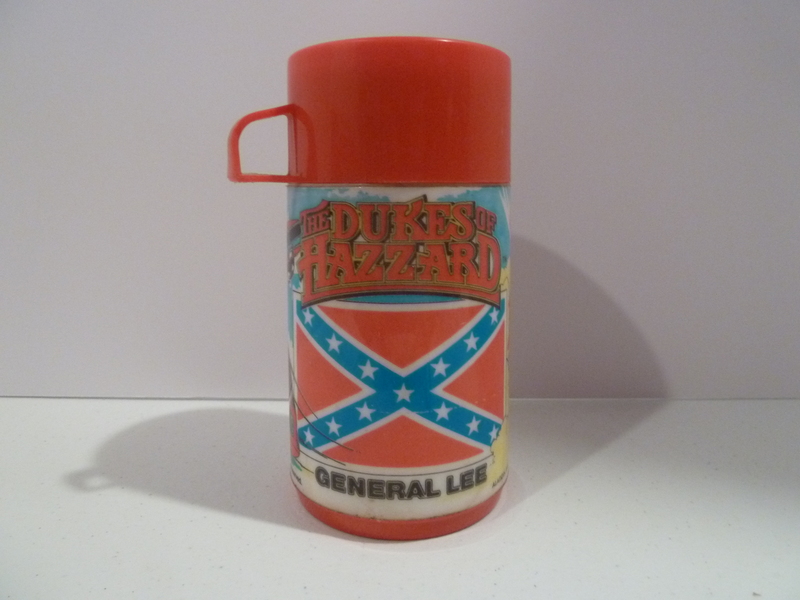 The General Lee “thermos” that came with every version of the lunch box except the Canadian version. 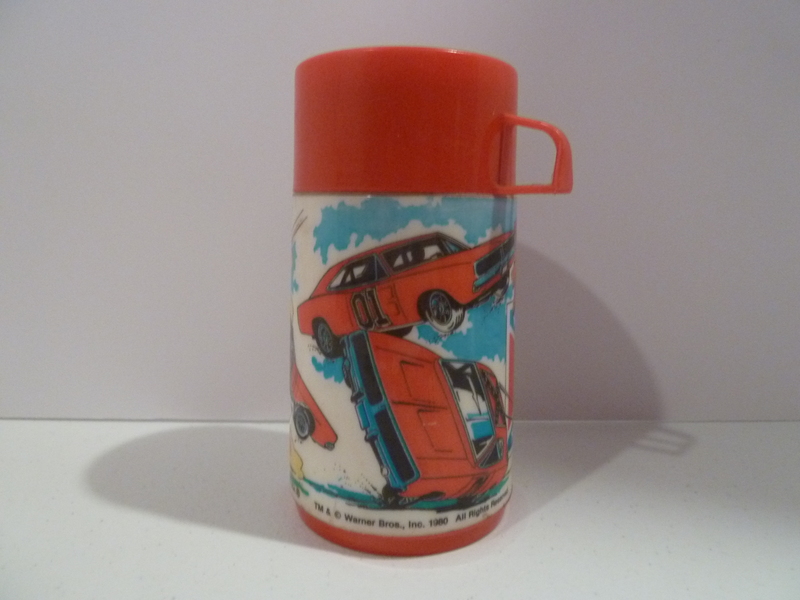 It features only artowrk of the General Lee. It comes with a red lid. 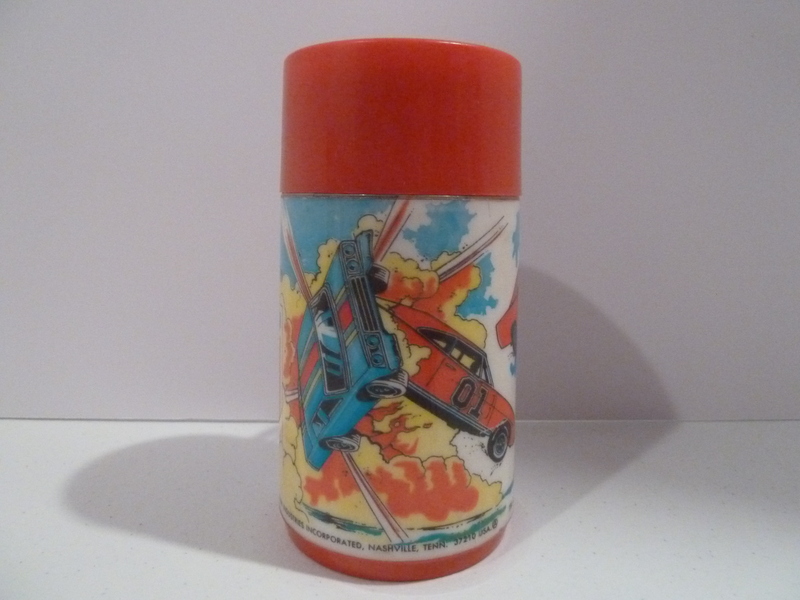 The Canadian variant had an orange lid and an orange base.